The first step in being motivated is to take the first step. Aren’t you glad you didn’t set this list aside to look at later? 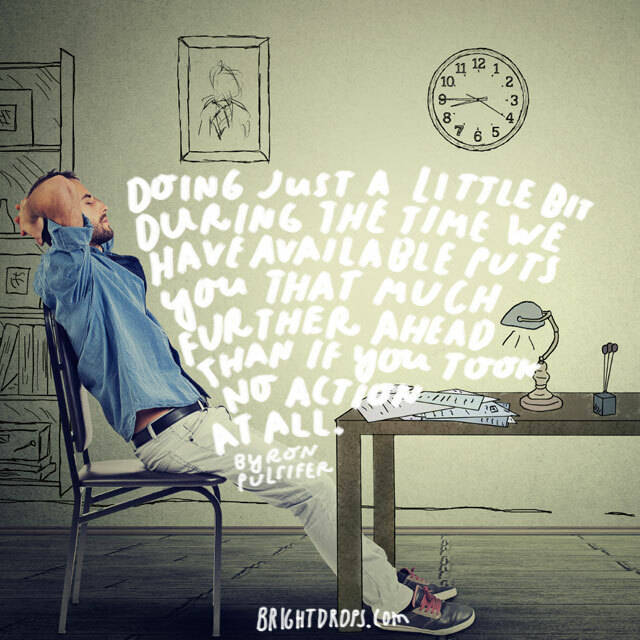 Procrastinating doesn’t often do much for us but create a big pile of things we still need to get to; it’s heavy on the mind. 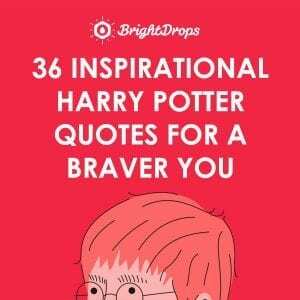 Read through these motivational quotes and pick one that lights a fire under your backside for the day. They just hang there, those things that need to be done. Walking around with a huge pack on your back full of things that you still need to do is one of the most exhausting things you can experience. Though tasks might not be enjoyable, the feeling of having them done is even more enjoyable. Even easy jobs become harder when we put them off so long that they haunt our steps every day. 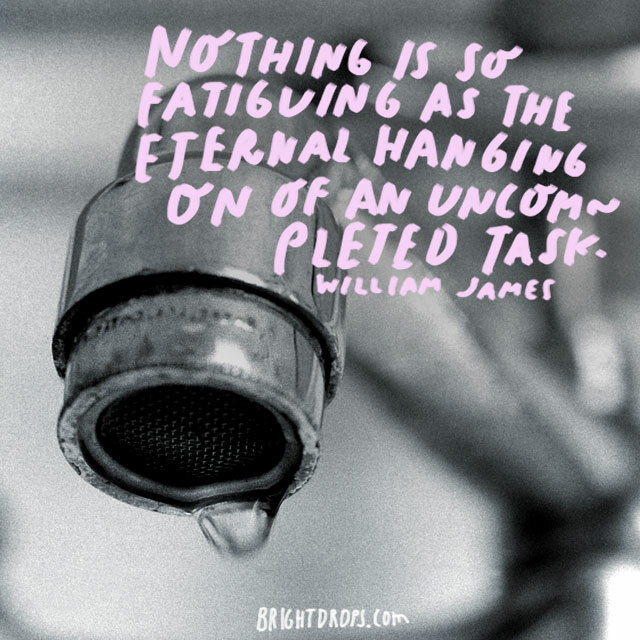 You might keep putting off the same easy task though you know it still needs to be done, yet you still keep putting it off, and the cycle continues. Break the cycle – complete your task. There are very few times in life when we are sure of everything we do. Sometimes life takes a bit of faith to get started and the feelings of surety come later. Waiting until the perfect time or place to do something might mean that you wait for a long time. 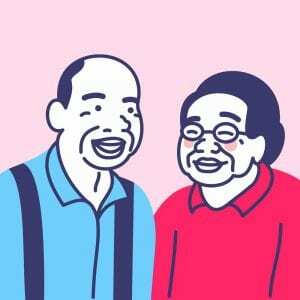 Wouldn’t it just be nicer to get things done now? The reason for this is because you can wait so long to do something that you miss out on the opportunity entirely. 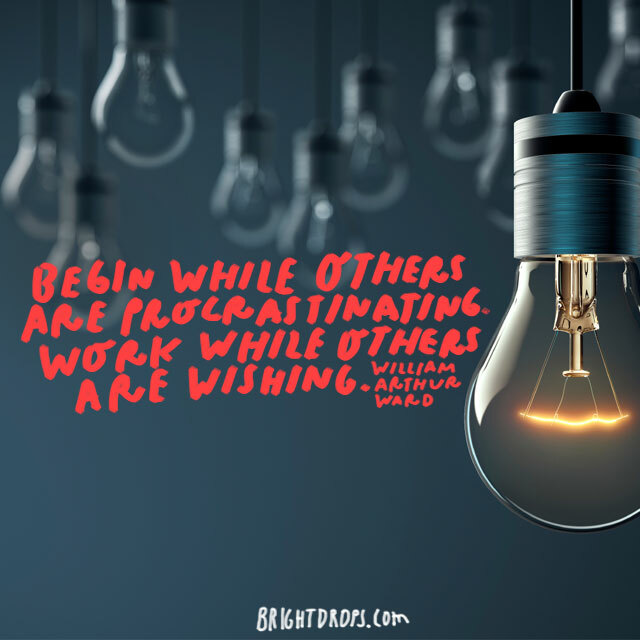 If you procrastinate because you are fearful of making a poor choice, life is going on without you and you might end up regretting your procrastination. So pull up your boot straps and get to work! Though it is true that not every idea needs to come to fruition, many ideas can be used as fuel to get yourself up and going. Don’t let so many wonderful ideas come through your head and fade into forever; trust yourself and your abilities, and get busy creating your life the way you want it. The circumstances may never be exactly as you want them to be. While you wait for things to be in the perfect place, there will be opportunities and parts of life that you miss out on. The easiest way to do something is simply to get started. What can you do today to create a better life for yourself? 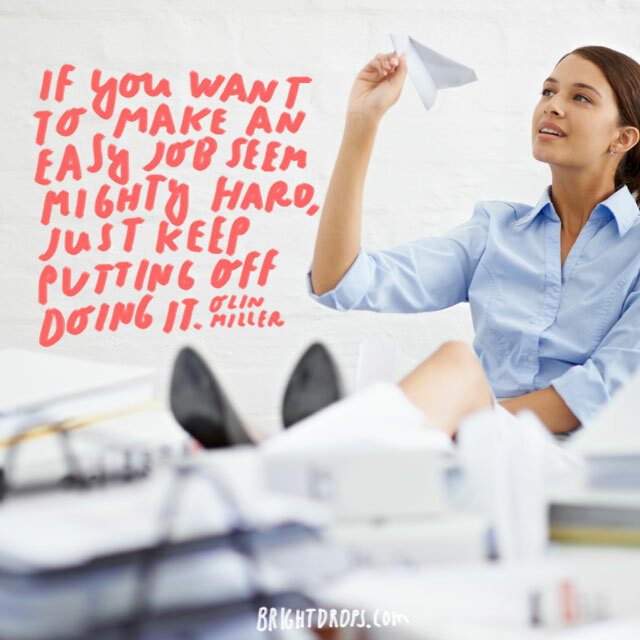 If there is a large task on your list that you have been putting off, it has probably been weighing on your mind. If it’s that huge, break it down into simpler parts; work on that task for 10 minutes at a time until it is done. At least you’ll be making progress. 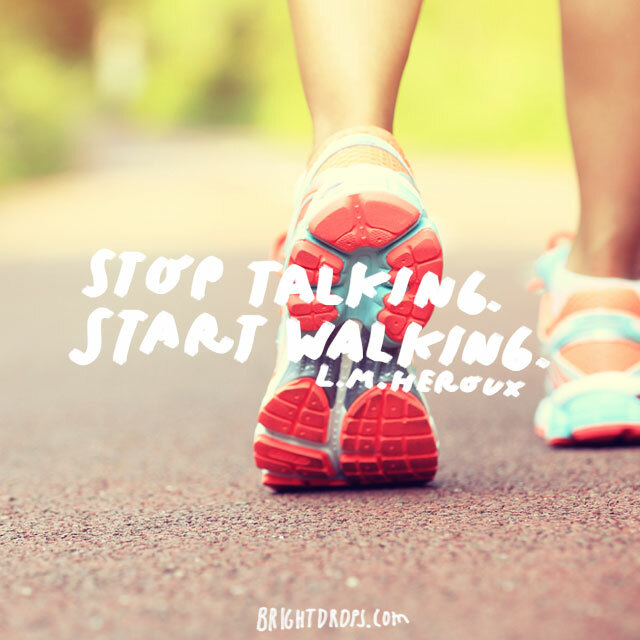 There comes a time when you must stop speaking about what you want to do and get up to start doing it. 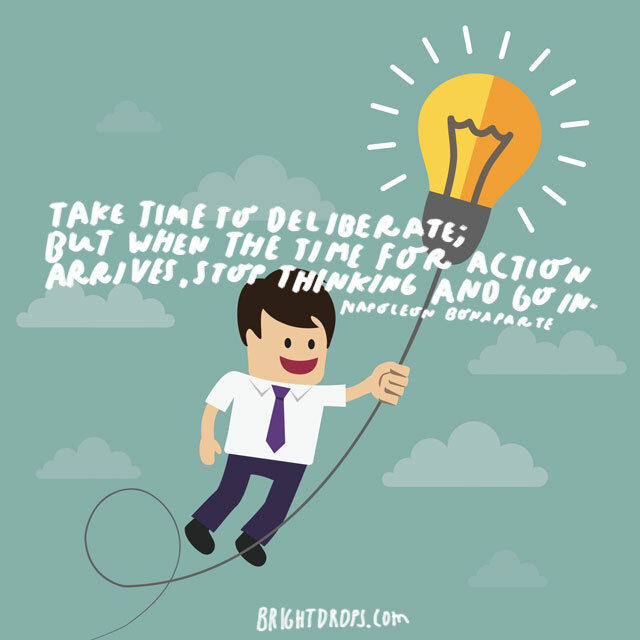 There is a time for talk and ideas, and a time for action. If you find that your words lack the action to back them up, do something to change that right now. There are many reasons for waiting to do what we want to do. Sometimes the time is simply not right. However, most other times it is simply our own fears and insecurities that keep us from completing the things that we say we would like to do. We won’t always see the entire picture when we begin something new. The good thing is, is that we don’t have to. We simply need to know the first step or two on that journey and the rest will be revealed in time. 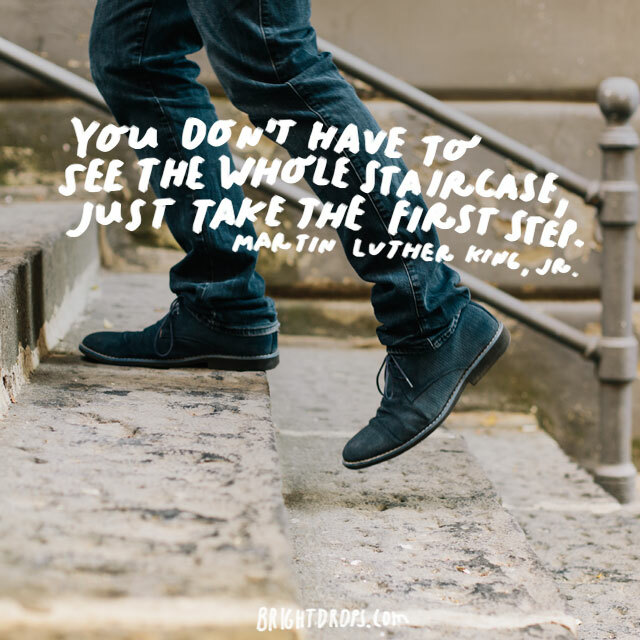 Trust the process and take that first step. You know you want to. Those who are busy creating their lives might often leave things to all the others who sit around waiting. But do you want sloppy seconds or would you rather go out and create your own success? 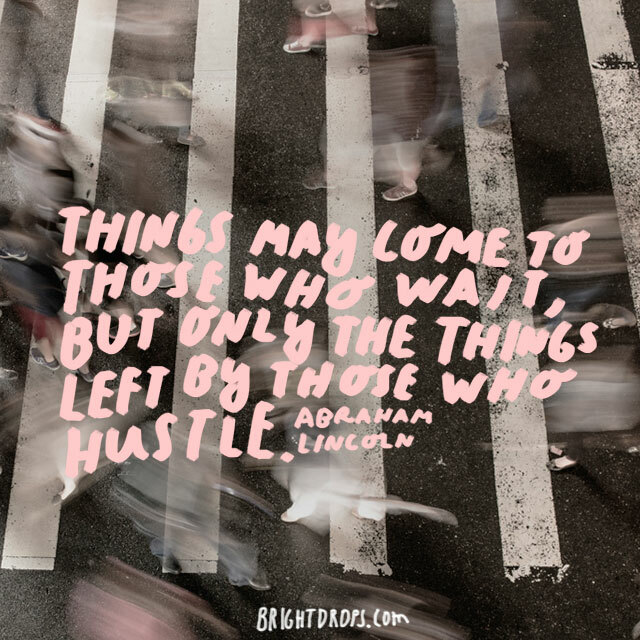 Try being the hustler that gets things done and is the one leaving opportunities to everyone else. It will be life changing. It’s been said before and we will say it again, words without action are nearly meaningless. Sometimes success is only just a few hours away and requires just a little bit more hard work. 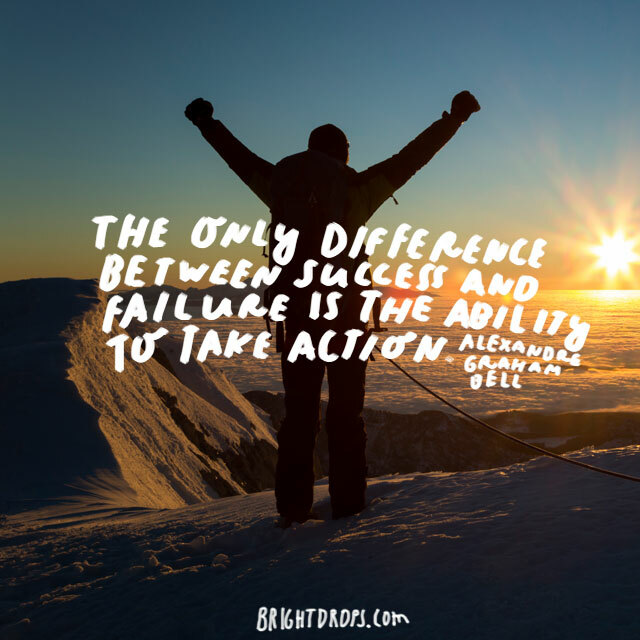 Quitting, or not taking action in the first place, is a sure sign of failure. You can’t fail if you keep going. 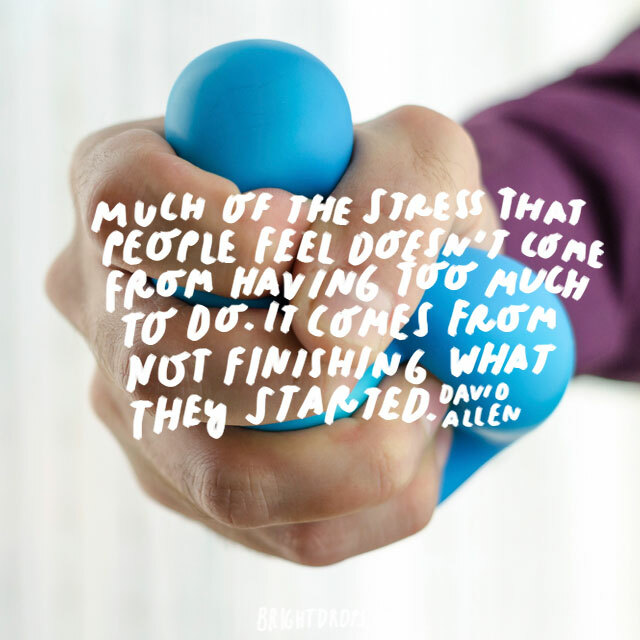 The more you don’t finish, the more these tasks weigh on your mind. This stress does nothing but create more stress. The cure? Getting something done that needs doing. Take two things off of your to do list and do them today. We guarantee you’ll feel better. Many people sit around wishing for different circumstances but do nothing to change them. Misery loves company and while there are those that would sit in misery, you should take that time and to get to work. You’ll have the life you want and all the others will wonder how you did it. 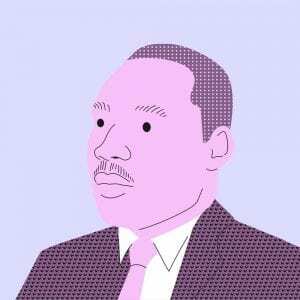 Today is the only day that you’ll ever have. Yesterday is useful in the lessons that you might have learned, but it has no power today. Tomorrow comes with the fact that anything can happen and there are no guarantees. The only guarantee you have is the one in this moment. Make it count. 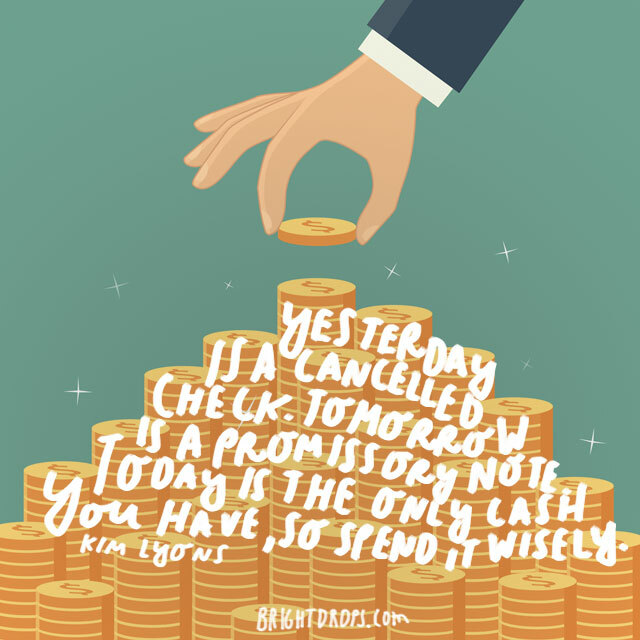 Since there are no guarantees tomorrow, anything that you put off today may go completely undone. 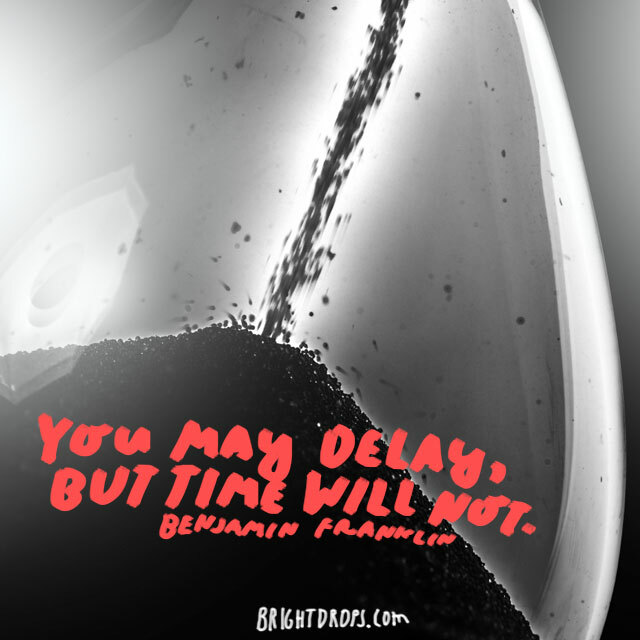 The best time to get something done is right now. You only have each moment to control so choose wisely and choose to complete things that need doing. Make your life a priority. 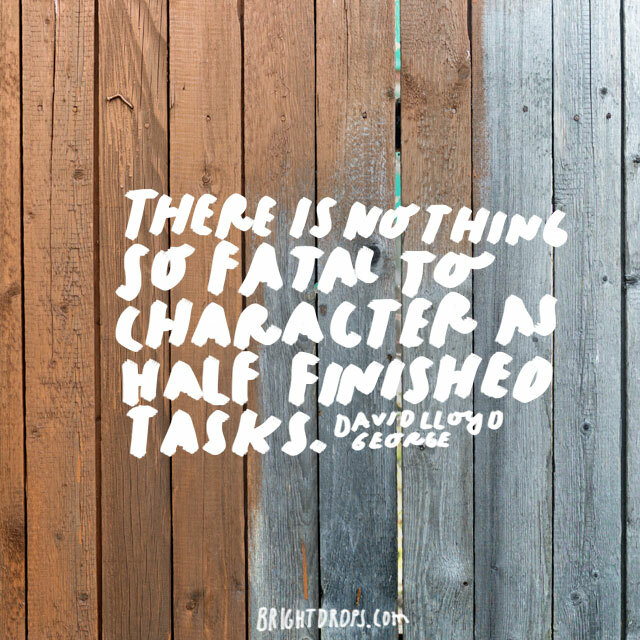 You might be a wonderful person, but this quote indicates that it hurts your character when you do not finish tasks. It definitely can make people realize that you are unreliable. That is probably not how you want to be viewed in life. Set a goal to finish a task or two that has been left undone and you’ll get better at completing tasks over time. If it were so easy to have success, everybody would be living the life of their dreams. It takes work too create things of substance. Dreamers often have their heads in the clouds, but those that get things done have their feet on the ground applying elbow grease to accomplish great things. 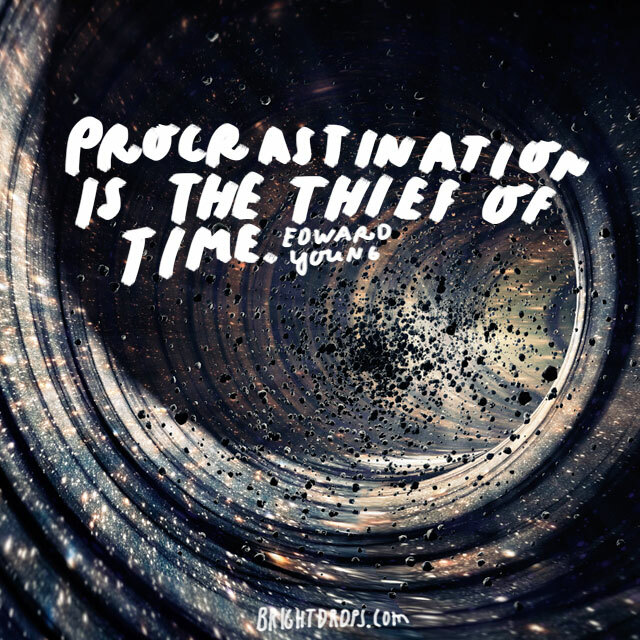 When you procrastinate something, you are stealing time from yourself in the future. It feels so much better to get something accomplished when it needs to be done, instead of having it hangover your head to be done another day. 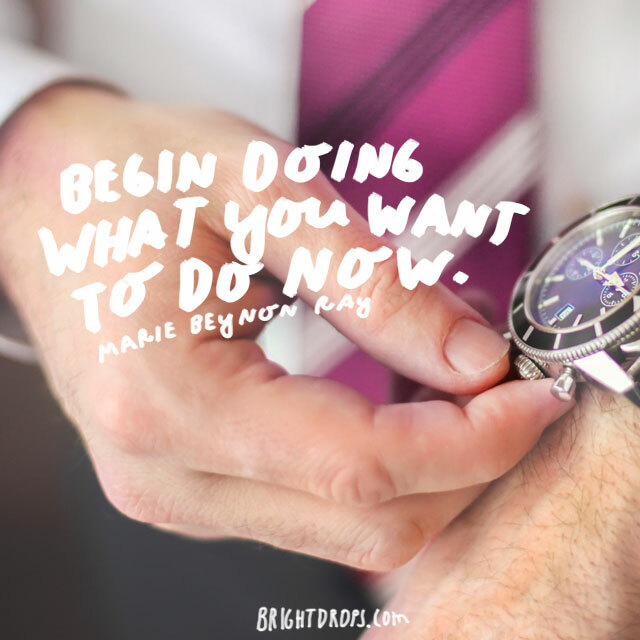 You might not have the time later so make sure to do it now. 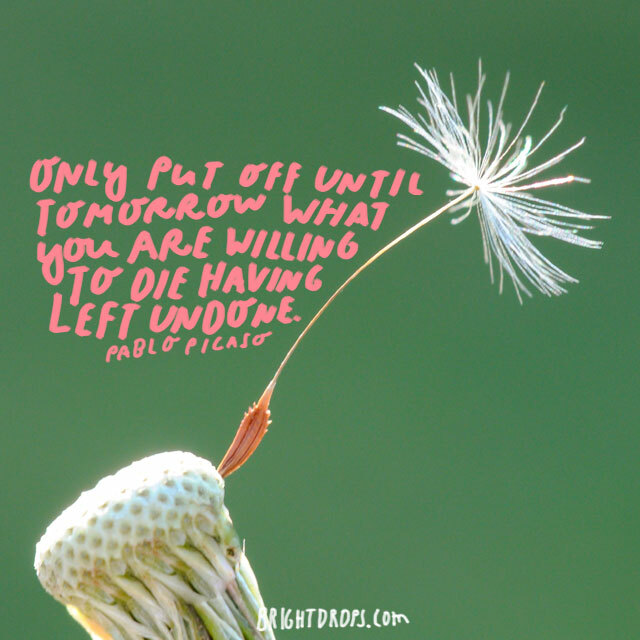 The more you put off doing things that you want to do, the more time slips you by. Sometimes before you know it, you look around and years have gone by and you still haven’t done what you wanted to do. 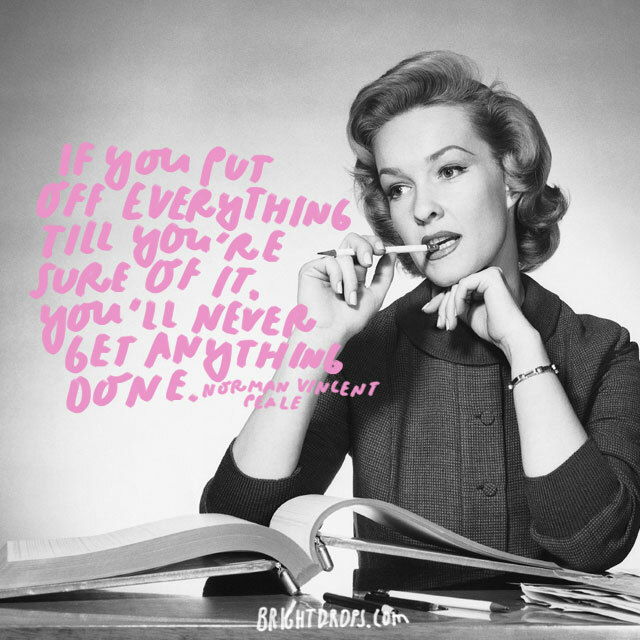 Work with time and work on getting your tasks completed. When you sit around thinking too long about doing something, you end up not ever doing it, or you miss the chance. Over analyzing and being stuck in thinking can be the shackles that keep you from living the life you want to live. They are self-made shackles so you can take them off yourself simply by choosing to take action. The perfect opportunity comes along, it’s an alignment with things that you’ve said you wanted for your life, and then you decide that you will put it off for another day. 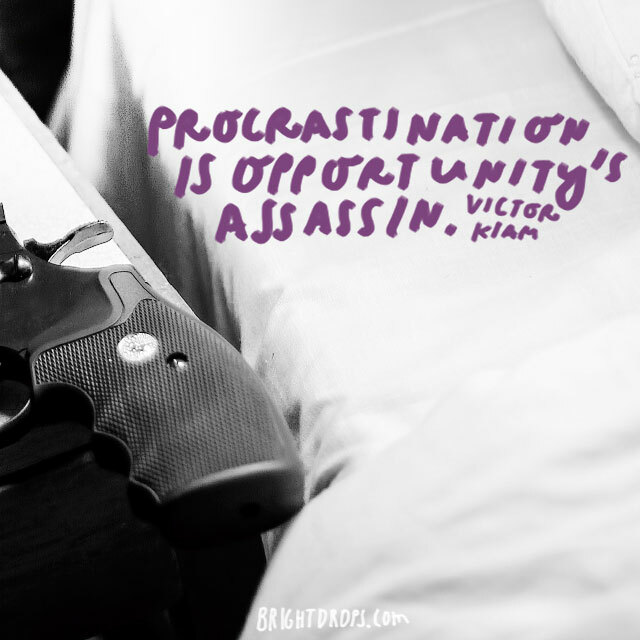 That opportunity was just murdered by your procrastination. 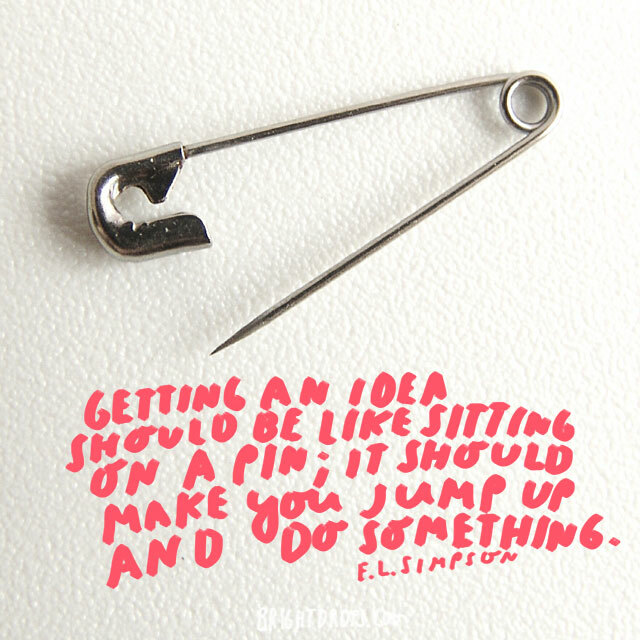 Take some kind of opportunity today and jump on it. Inspiration is a great thing to have, but when it doesn’t come so readily then hard work is what it’s is required. Sometimes, just getting to work brings the inspiration we’re looking for the first place. 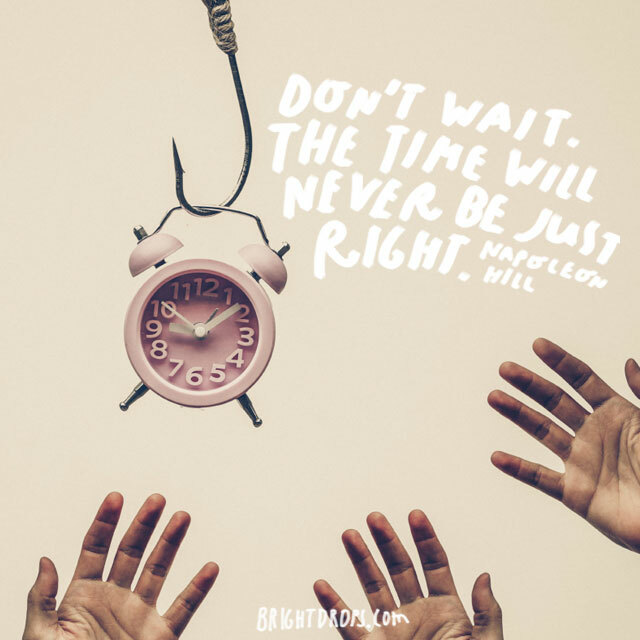 There is a time for waiting and a time for action, make sure not to get stuck in either place for too long; they both have their purpose. 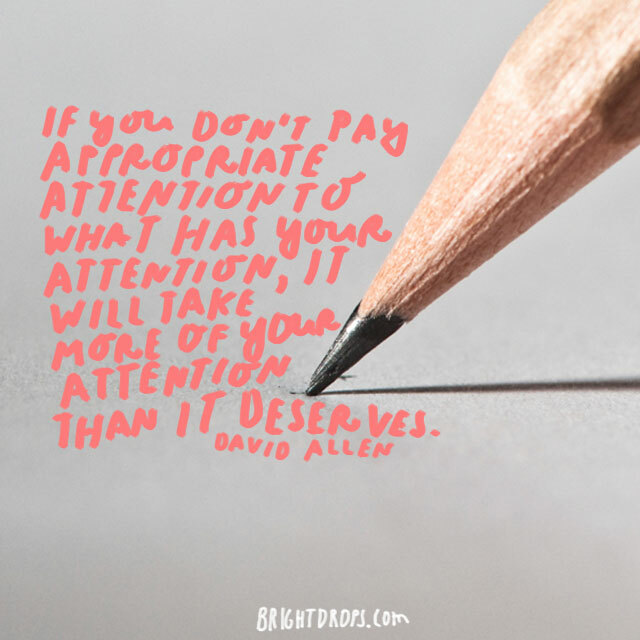 Your attention is being placed on things every moment of every day. Would you rather pay more attention to watching television, or working to create the life you want? 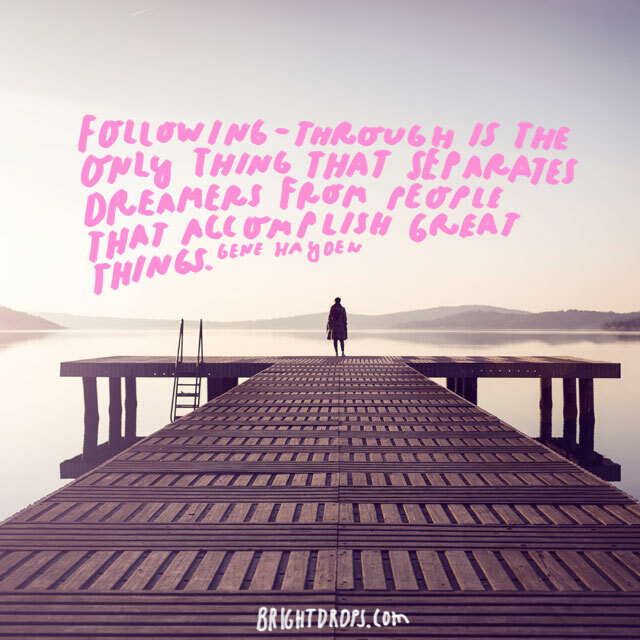 Success is making a concerted effort to focus on your dreams. When this happens, you control where your attention goes instead of all the other little things wasting your attentions for you. 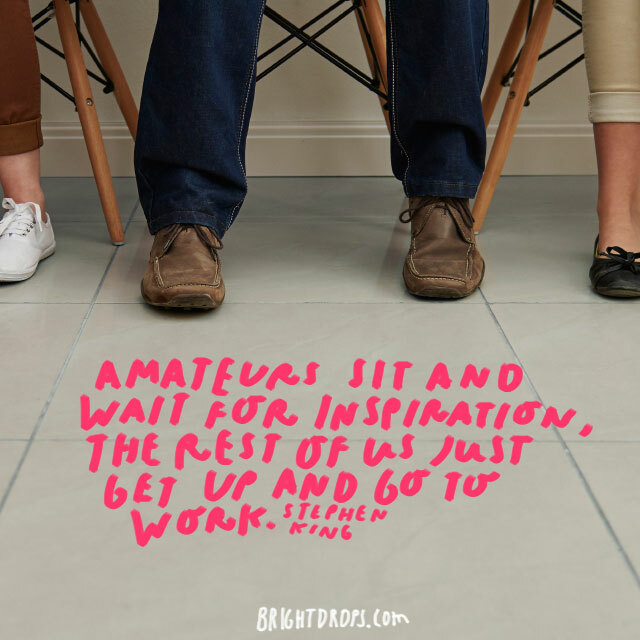 There is always a time to sit, think, and plan, but there comes a time for you to get up to get to work. Even if you don’t think that you’re done thinking, you still need to get up and do what you want to do so that you can create the life you want. 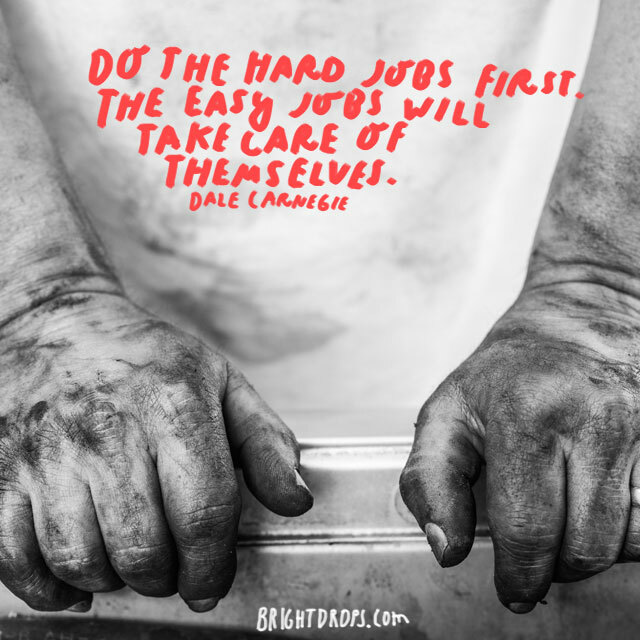 Getting the hard jobs over with first allows you to relax a little and it makes all the littler jobs easier to do. Saving something huge until the very end can be extremely demotivating. Get up each day and note which job is the one you least want to do, and start with it. 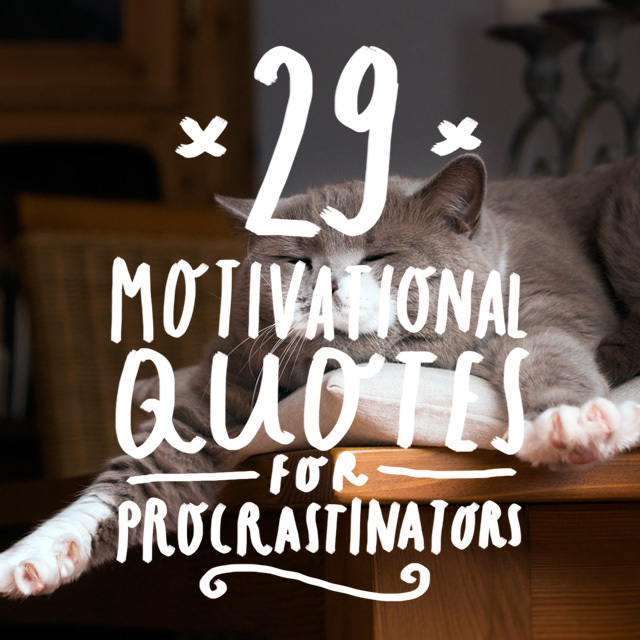 Motivation wanes over time and it can be easy to get bored and want to quit what you’re doing and do something else. However, the longer you work, the more it becomes habit and you can rely on that to help you complete your tasks. 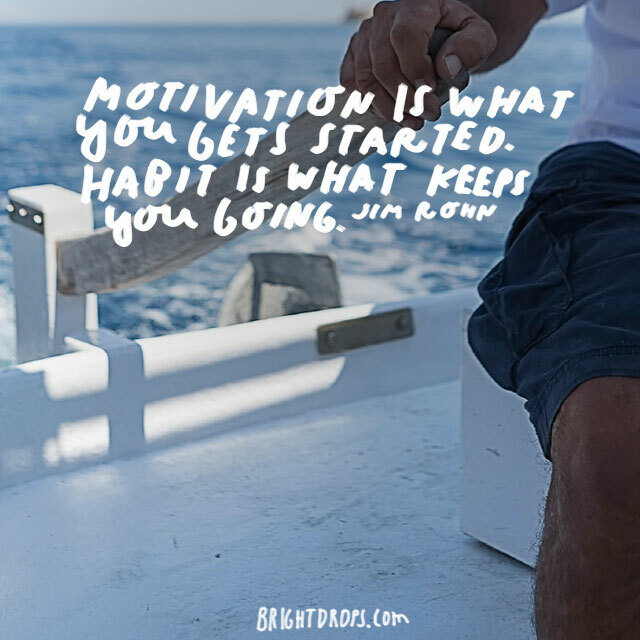 Your habit will be the fuel you need to keep going. Once you’ve taken action and completed something, go back into that still, quiet place within yourself. 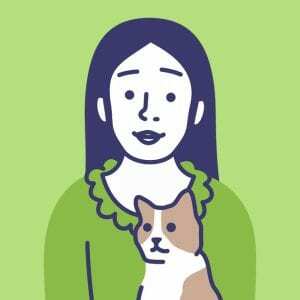 It gives you a chance to rest and recuperate, and also allow you to receive motivation to take more action on another day with other tasks. 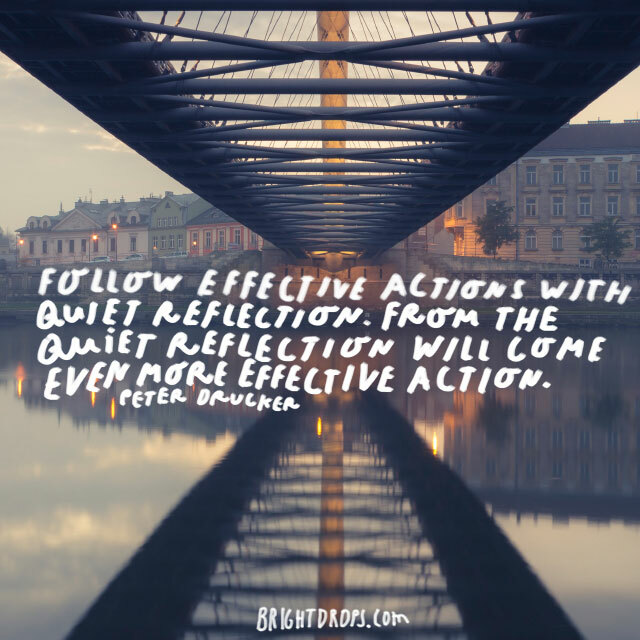 Action and reflection ebb and flow, make sure to go with their cycles and use them to your advantage. You have all of the energy you need to complete what you want to do. 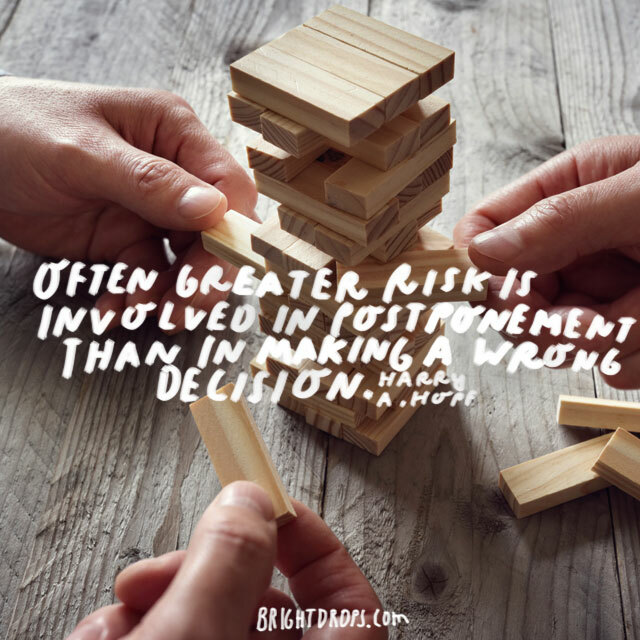 The trick is making the decision to get started. Focus all of your energy from time to time on the things that you want to accomplish. 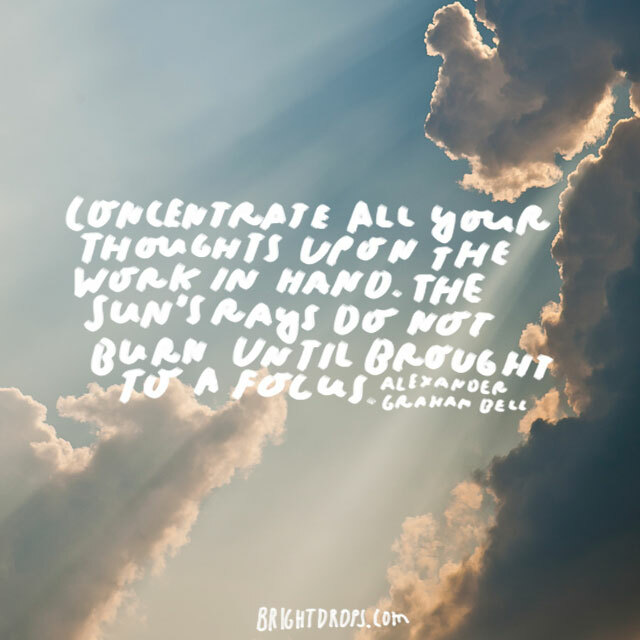 Combining all of your focus and energy will allow you to complete tasks more effectively.